Winner of the IENE Project Award 2016. 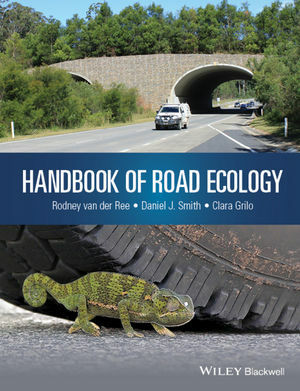 This authoritative volume brings together some of the world’s leading researchers, academics, practitioners and transportation agency personnel to present the current status of the ecological sustainability of the linear infrastructure – primarily road, rail and utility easements – that dissect and fragment landscapes globally. It outlines the potential impacts, demonstrates how this infrastructure is being improved, and how broad ecological principles are applied to mitigate the impact of road networks on wildlife. Research and monitoring is an important aspect of road ecology, encompassing all phases of a transportation project. This book covers research and monitoring to span the entire project continuum – starting with planning and design, through construction and into maintenance and management. It focuses on impacts and solutions for species groups and specific regions, with particular emphasis on the unique challenges facing Asia, South America and Africa. Handbook of Road Ecology offers a comprehensive summary of approximately 30 years of global efforts to quantify the impacts of roads and traffic and implement effective mitigation. As such, it is essential reading for those involved in the planning, design, assessment and construction of new roads; the management and maintenance of existing roads; and the modifying or retrofitting of existing roads and problem locations. This handbook is an accessible resource for both developed and developing countries, including government transportation agencies, Government environmental/conservation agencies, NGOs, and road funding and donor organisations. and monitoring and ensuring evidence-based information contributes to the design and management of infrastructure. Rodney is currently the Deputy Director of the Australian Research Centre for Urban Ecology at the Royal Botanic Gardens Melbourne and The University of Melbourne. He was awarded the Graeme Caughley Travelling fellowship in 2014 to promote and enhance road ecology in developing countries. conservation and planning award from the Florida Wildlife Federation for his outstanding contributions to sound use and management of Florida’s natural resources. she is coordinating research projects on road ecology, namely the effects of roads on the abundance, spatial behavior, population genetic structure and risk of mortality on owls and mammals and the effectiveness of measures to reduce the negative effects of roads on wildlife.